This temple observes SETHUBANDHANAM in every year in "Thiruvonam" day of Malayalam month "Kanni". The only place in earth wehere SETHUBANDHAN occurs in every year, in memory of those in RAMAYAN, is at Sree Raman Chira Chemmappilly. 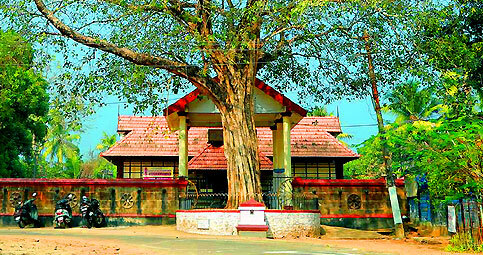 Chemmappilly is a nearby place to Thriprayar, 2 Kilometres apart from the temple. Whole arrangements are done by Thriprayar Devaswam. The temple is closed early after performing "Deeparadhana" and "Athazhapooja" (Evening and night poojas). At a time the early closin of Sreeramaswamy Temple is done only in two occasions in a year. One is for "Sreeraman chirakettu" (ie.Sethubandhanam)and another is "Arattupuzha Devmela"
Koodalmanikyam Temple is the only temple in India dedicated to the worship of Bharata, the second brother of Rama. Koodalmanikyam Temple houses another 6 ft tall idol of the Lord, seen in ferocious form, facing east, in standing posture holding the same things as seen at Triprayar. This is one of the rare temples where only one idol is there. 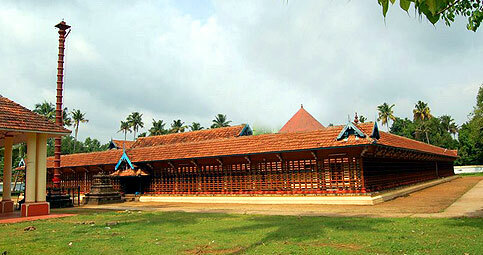 The temple has a private devaswom. This is a unique Vaishnava Temple and the second temple to visit. From Triprayar proceed in the Kodungallore route and divert from Edamuttam or Moonnupeedika. Irinjalakuda is about 20 km away from Triprayar. Darshan is possible from 3am – 12 noon, and 5pm to 8pm . Important Vazhipatus are Thamaramala, Brinjal Nivedyam, Vedi, Gheelamp, Meeunttu. Payammal Sree Sathrughna Swami Temple is the smallest temple, having the smallest idol, also similar to that at Triprayar. This is the way to praise them: First, we have to worship Hanuman. Then worship Rama at Triprayar during his nirmalyadarsanam. Then worship Bharata at Koodalmanikyam and Lakshmana at Moozhikkulam during their Usha Poojas. Then worship Shatrughna at Payammal during his Ucha Pooja. This is the last temple to visit. Reach Vellangallore and proceed went wards 4 km to reach Aripalam. Take right turn and reach the temple . Important Vazhipadu is Sudarshanan dedication . Darshan time is as given along temples. 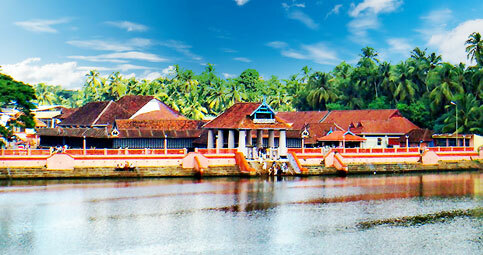 Thirumuzhikkulam Lakshmana Perumal Temple is the only temple in Ernakulam District, and the only one among the four temples, which belong to the 108 Divya Desams, praised by Azhwars. The temple houses another 6 ft tall idol, similar to the idol at Triprayar, holding Shankha, Sudarsana chakra, Mace and Lotus, in standing posture, facing east. 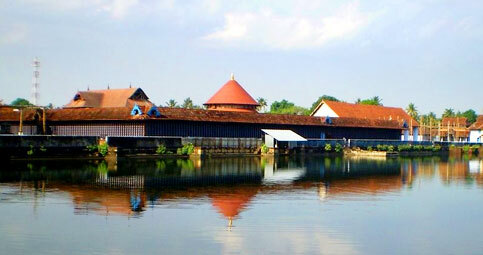 Moozhikkulam Temple is the third temple to visit and is dedicated to Lakshmana. This is in Ernakulam District near to famous Annamanada Mahadeva temple proceed alongs Vellankallore in Irinjalakuda route to Kodungallore and reach Mala, Annamanada and then Muzhikkulam . Darshan is possible from 4 to 11.00 and 5 to 8 .